The Gift of Giving Time and Talents. One way to strengthen your relationship with God at The Family Church is to volunteer to participate in any of the several ministries that are available. It’s a great way to create new friendships while sharing your valuable talents with the congregation. 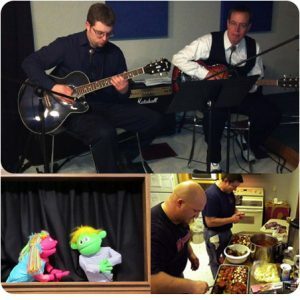 Everyone has something to contribute whether it involves reading bible passages during service, running audio/visual equipment, acting in skits or puppet shows, cooking for special events, or even playing instruments or singing! You might even uncover an unexpected hidden talent. If you have an interest in getting involved or have any questions, please contact Reverend Allie , or call us at (920) 882-0544.